It's okay. Don't fear the creeper. This hair beautifier is not in the least bit slimy and it doesn't smell weird. It feels like a lightweight leave in conditioning creme and smells good in a fresh, faint kind of way. So what's this snail thing all about, anyway? Well simply put, the trail that snails produce is collected (don't ask me how, I don't know and I have little interest in finding out... slime and I don't do well together) and it is filtered and processed to extract the beneficial essences and proteins that when combined with the other ingredients treat hair to make it softer, smother and look younger. How on earth did snail essence become an ingredient in hair and skin care, in the first place? Apparently, Chilean farmers realized their their hands were softer and smoother after handling snails and the material that comprises their trails. This substance became the #1 ingredient in Korean Skin Care and made it's way here where it is taking the skin care and hair care industry by storm. 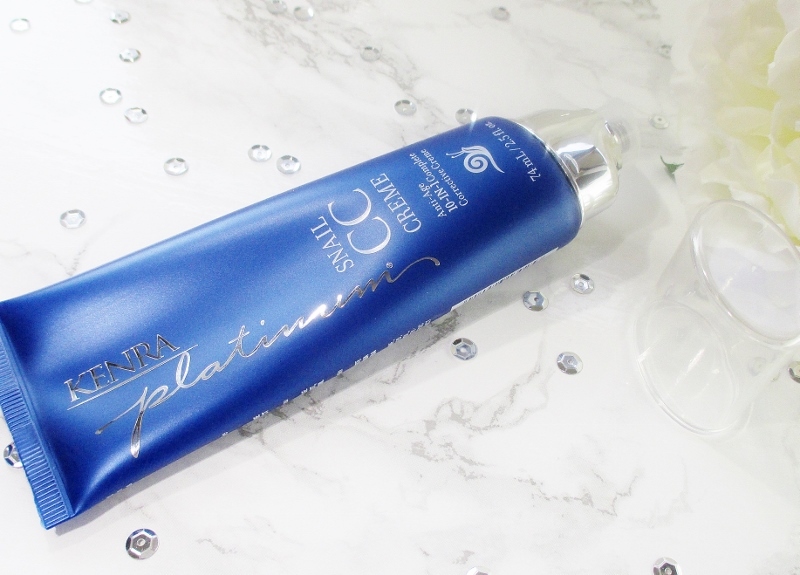 What say I about Kenra Platinum Snail CC Creme? A few pumps, worked into my ends and lower length then an additional pump or two through the rest of my hair and when it dries, it feels softer, silkier and the weakened, abused areas feel stronger and smoother. Does this "repair" hair? No. Nothing can repair damaged hair. But this leave in does improve the appearance and feel of my tresses and I like it. 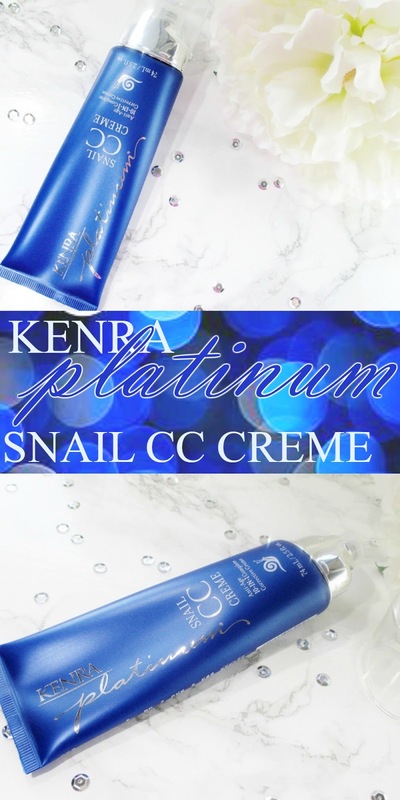 Kenra Platinum Snail CC Creme is available exclusively at Ulta Beauty. Kenra is social. Visit them on Facebook, follow on Twitter and on Instagram. 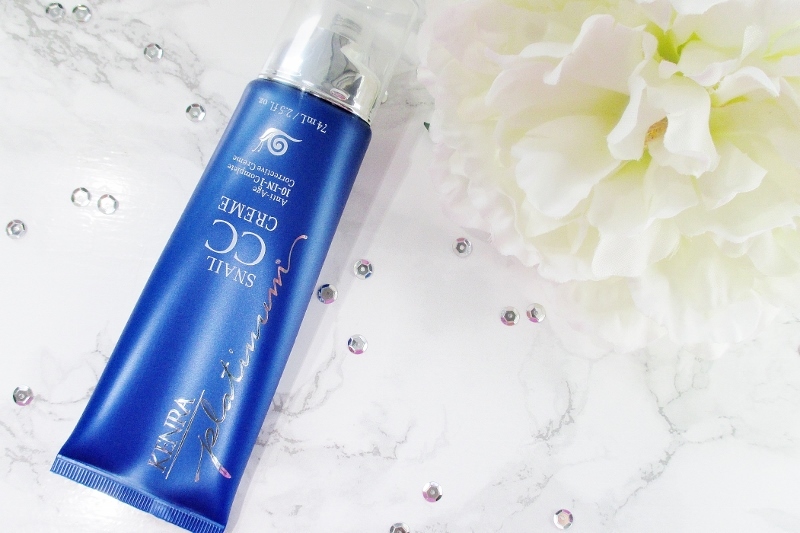 Have you tried snail essence for skin and hair care? It was great hearing your thoughts on this product. This one was a new one for me, as well. I am so glad to hear that it is neither slimy, nor smelly! That combination would be a deal-breaker for me! This sounds like a really effective product! I was pretty leery, at first but happy that it just feels and smells like a normal, lightweight leave in hair treatment. I like how it works for my hair. I've gott say the whole snail thing is pretty intriguing! My hair is looking pretty crummy lately and I need a good "repairing" cream. This is worth a try. I'm happy with how much better it makes my trashed tresses feel. So besides the face you put "Don't fear the reaper" into my head for the DAY this sounds like it'd be wonderful for hair! Heh! Heh! My diabolical plan worked and you get the reference. :D It's good stuff, I like it. I've never heard of snail in haircare so this is a new development to me. I have always liked Kenra haircare and now I think I need to try this product. I'm just not sure about snail juice in my hair... LOL! But maybe they're on to something! I've of snail cream for skin but for hair? Must try! Go for it, I think that you'd like it. Best post title ever! This also sounds like something I need to try.